There’s a new trick to send spam: using legitimate business email services. 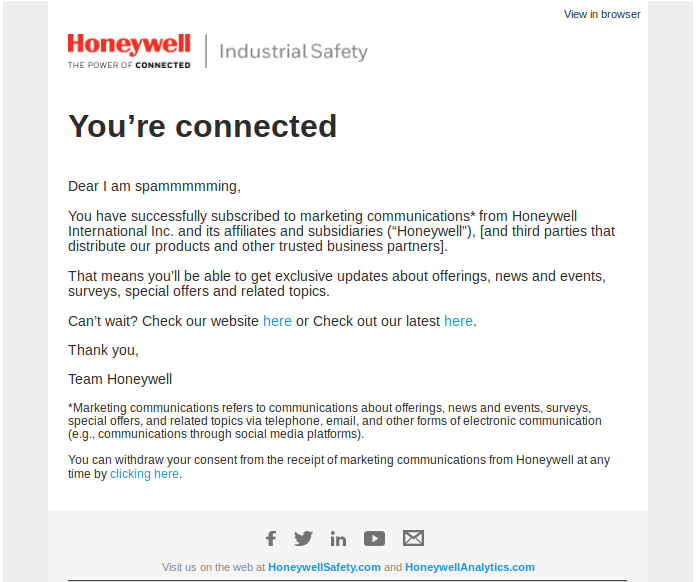 Just a few days ago, I received an email from Honeywell. It was spam. I checked the sender address and the sending domain. It seemed to be sent from Honeywell indeed. So I wondered why Honeywell would spam me with something that’s completely irrelevant to its business. After some research I realized that the spammers used Honeywell’s online forms to send out the spamming emails. 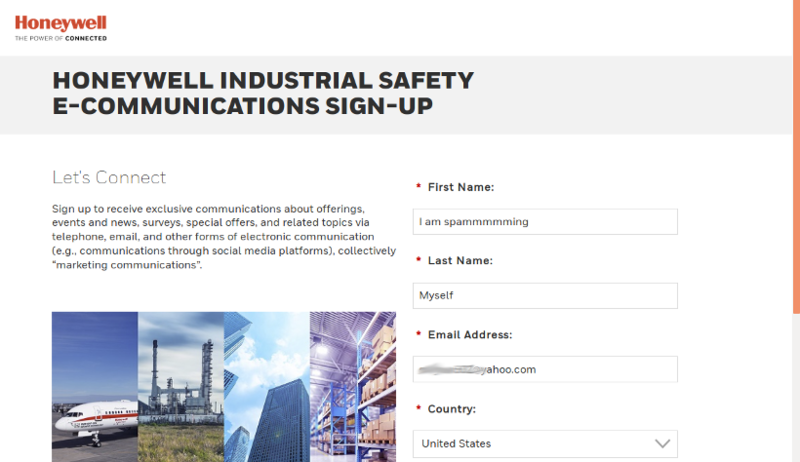 First, the spammer finds a web page that Honeywell uses to sign up users who are interested in receiving communication from Honeywell. 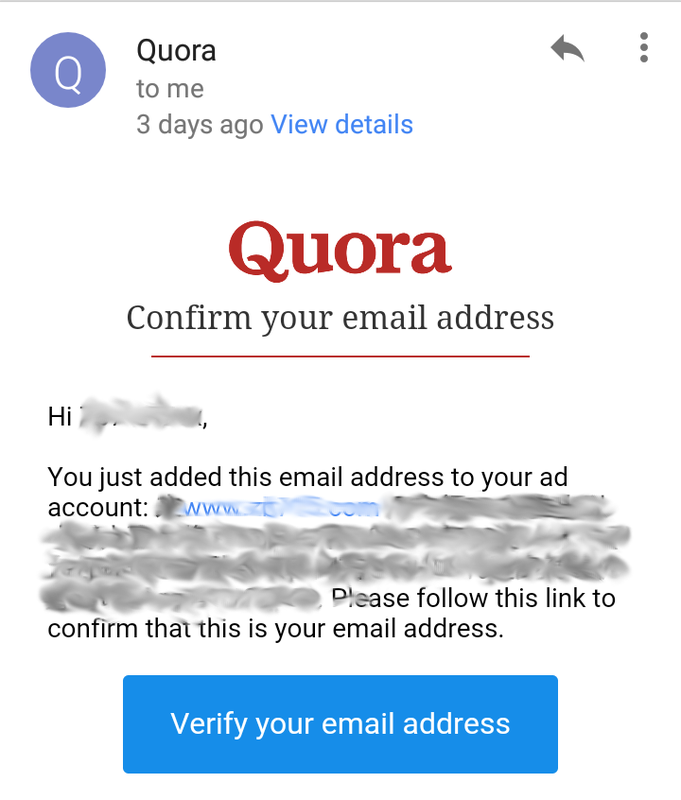 Then they enter spamming info into the form and submit it. Of course, the spammers won’t be so polite to enter just “I am spamming” as the first name. They’ll enter the full spam message there. And you’ll receive the whole spam message in the beginning of Honeywell’s sign up confirmation to you. There doesn’t seem to be a way to block these spam emails since they were sent out from legitimate domains. Hopefully companies will take the necessary steps to block this technique.